Reality: You do not collect a check simply for going to the mall. When you accept a mystery shopping assignment, you are given specific things to look for such as: How long before you were greeted? Was the rest room clean? Did the cashier give you a receipt and say thank you? After your visit, you fill out an online questionnaire with your answers to those questions and others. 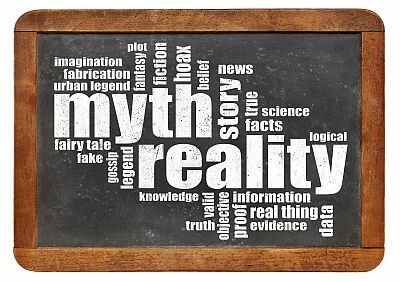 Myth: Mystery shopping is just a scam. Reality: Most people do not know much about mystery shopping, but the idea of “getting paid to shop” is attractive to them. Scammers use this interest and ignorance to cheat people. They send fake checks or money orders to people out of the blue, asking them to cash the checks and use the money to “mystery shop” then wire most of the cash back to them. The problem? The checks are later discovered to be bogus, and the victim has to repay all of the money to the bank. The scammers often use the names of real mystery shopping companies, but they have no relationship to those companies or mystery shopping. Real mystery shopping companies will not contact you out of the blue and they will not send you checks before you have done any work for them. Myth: When you do a mystery shop, you give your opinions about service, cleanliness and quality. Reality: Although you may sometimes be asked for your opinions, mystery shopping is primarily reporting facts. Did the salesperson suggest additional items? How many cash registers were open? Although there may be some opinion questions in a report, the questions are not primarily about what you thought or how you felt about your customer experience. Myth: Mystery shoppers can earn $50,000 a year working part time. Reality: You will not get rich as a mystery shopper. Most shoppers do this part time or even spare time as a way to make extra money. So how much will you earn? That depends on where you live (there are more opportunities in urban areas than rural areas), the types of shops you choose to do (some types of shops pay more than others), and how often you want to work (you are not guaranteed assignments, and you are not required to complete any number of assignments–it’s up to you). Most shoppers can earn at least a few hundred dollars a month in fees and reimbursements shopping very part time. Someone who puts in more time and effort, and develops good skills, can make more—possibly much more. Myth: The best way to get mystery shopper jobs is to pay a fee to register with one of the websites promising jobs. Reality: Legitimate mystery shopping companies do not charge you to apply. Do not pay a fee to register with any website. The sites trying to charge you are probably not even mystery shopping companies and have no jobs to offer. Instead, register directly with mystery shopping companies that do not charge you. Start with my list of 200 legitimate mystery shopping companies. Whether you are a long time mystery shopper or just getting started, educating yourself about the realities of mystery shopping will keep you safe from scams and help you become more successful.